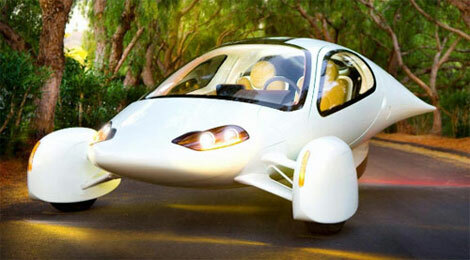 Current Auto Designs are past their Zenith awaiting the breakthrough Concept Vehicle! 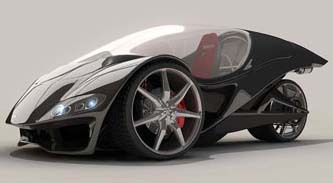 When you peruse Google Images for Concept Cars there is a consistent theme of style. 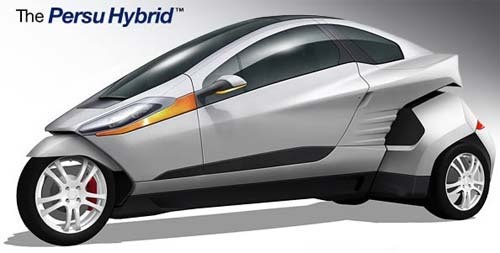 Their aim is towards lighter weight and more areo dynamic form to improve fuel economy. 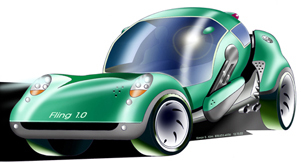 These designs will remain concept vehicles until they overcome the barrier of the NHTSA safety standards. 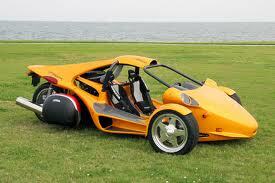 Many of these vehicle have the form without the function of the FlexObile. Consider the image to the right by David Miguel Moreira Gonçalves , the "Scarab". Without losing the integrity of the design the Flex Cab Technology can easily be adapted. Making this one the world's safest vehicle. Ironically, it actually has an arm above the wheels in the right position to spin the cab in the same manner as the FlexObile. We have never consider putting the arm there but it would actually work. It actually may be in a better position and a simpler mechanism. It is uncanny how the FlexObile designs itself. It is a very natural form and function of nature. There are a host of vehicles and designs that can take advantage of the FlexCab.